PITTSBURGH, PA – Rivers of Steel Heritage Corporation, managers of the Rivers of Steel National Heritage Area, and RiverQuest which operates Explorer and its popular river-based environmental sciences program, announced today that the two non-profit organization’s boards of directors have approved pursuing a merger of the two organizations. This announcement comes more than a year after RiverQuest publically announced they were seeking a merger partner. That announcement led to a series of negotiations and studies between the two groups, culminating in today’s announcement of the intent to merge. Rivers of Steel is a non-profit that manages the Rivers of Steel National Heritage Area, one of 49 National Heritage Areas in the United States designated by Congress. Its mission is to conserve the industrial, cultural, natural, and recreational resources of southwestern Pennsylvania. Rivers of Steel also manages a similar state heritage area program in partnership with the Pennsylvania Department of Conservation and Natural Resources. Among the many programs and projects it maintains, the Carrie Furnaces in Swissvale and Rankin, PA, The Bost Building in Homestead, both National Historic Landmarks, along with the Battle of Homestead Site in The Waterfront, have become popular destinations for visitors and tourist over the last few years. Rivers of Steel also operates a successful receptive services tour business that packages and sells Pittsburgh and western Pennsylvania destinations, sites and activities to out-of-town motor coach operators. RiverQuest's mission is to engage students and citizens in river-based environmental science experiences that promote critical thinking and foster stewardship of the rivers as a significant and vital natural resource. The RiverQuest boat Explorer is a one-of-a-kind green vessel, custom-constructed for river-based education. Since 1995, RiverQuest has provided hands-on STEM education programs to more than 100,000 school students, as well as an additional 100,000 members of the general public. A business plan is currently underway that is examining a variety of revenue-generating alternatives for Explorer along with expanding the successful tours that Rivers of Steel has been conducting. The business plan will lay out alternatives for staffing and capital investment as a part of a strategy to fully integrate RiverQuest as a program of Rivers of Steel. A press event announcing the merger was held on June 22, 2015 at 1:30PM at the Explorer Dock on the riverside of the Carnegie Science Center on the North Shore. 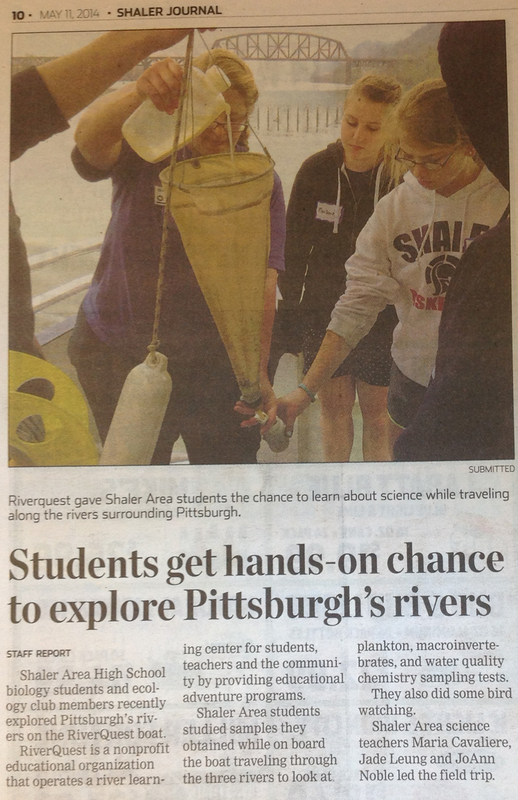 PITTSBURGH, PA - RiverQuest, the North Shore organization dedicated to river-based science education, may be able to preserve its educational mission through a new strategic partnership. Jim Roddey, President of RiverQuest, and August Carlino, President and CEO of Rivers of Steel Heritage Corporation, announced today that their respective agencies have entered into formal discussions. With the rivers as a key geographic and historical context for discovery, both organizations engage the public to celebrate the region and to explore how it has evolved over time from economic, cultural, and environmental standpoints. Headquartered in Homestead, Rivers of Steel conserves, interprets and develops historical, cultural and recreational resources throughout western Pennsylvania, including the eight counties that comprise the Rivers of Steel National Heritage Area. Rivers of Steel seeks to link the area's colonial and industrial heritage to the present and future economic and cultural life of the communities it serves, through resource conservation, heritage tourism, cultural and educational programs, and economic revitalization. Some key sites include the Carrie Furnaces National Historic Landmark and the Pump House and Water Tower, formerly part of the U.S. Steel Homestead Works, The Bost Building National Historic Landmark in Homestead, and the W.A. Young and Sons Foundry and Machine Shop in Rices Landing, PA. The organizations will work together on the potential merger over the next three months. Rivers of Steel Heritage Corporation is located in the historic Bost Building, at 623 East Eighth Avenue, Homestead, PA 15120. PITTSBURGH, PA - Jim Roddey, President of RiverQuest, an environmental education organization focused on the ecology and environment of the region's rivers, announced this week that the nonprofit is actively seeking to merge with another agency to preserve its river-based education program. 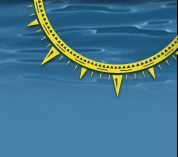 The RiverQuest board hopes to identify a merge partner or else make the difficult decision to close. The RiverQuest board is approaching a potential merger with the intention of reducing the operational cost of the education program. Discussions are underway with nearby agencies with similar missions. Recent preliminary discussions have included Carnegie Science Center and PA DCNR at Point State Park. RiverQuest to explore merger with Rivers of Steel Heritage Corp.